Chennai, April 12 (NDTV): Actor-politician Kamal Haasan today appealed to Prime Minister Narendra Modi to quickly set up the Cauvery Water Management Board, telling him that the Center needs to dispel the impression that his government is dragging its feet due to elections in Karnataka and “your interest in it”. I want this belief to be dispelled,” the actor who has campaigned for implementing the Supreme Court verdict said in a video message to the Prime Minister, because “people are more important the elections as you well know”. Hassan tweeted the video message minutes after Prime Minister Narendra Modi reached Chennai and used a chopper to reach the DefExpo 70 km from the state capital and later, IIT Madras campus, reportedly due to protests that opposition parties had planned. The opposition did get their message through, using black balloons. “My name is Kamal Haasan. This is an open video to my honorable Prime Minister,” Haasan says in the message, drawing his attention to the “crisis” in Tamil Nadu due to the delay on part of the center. “You can easily deliver the justice that Tamil Nadu is seeking,” Haasan, 63, who wore a black shirt as a mark of protest, said. Public anger over Cauvery waters has peaked in Tamil Nadu after the centre kept sitting on a verdict by the Supreme Court earlier this year that required the centre to set up the authority that would ensure sharing of Cauvery waters between Tamil Nadu, Karnataka, Kerala and Puducherry. Mr Haasan had earlier held politics responsible for the delay since neighbouring Karnataka is set to vote its next government in May. Last week, he told NDTV that the centre was playing a political game that was standing in the way of the state receiving justice. The Supreme Court, which is hearing petitions to seek implementation of its verdict, has also reprimanded the central government for coming up with excuses to put off setting up the authority. “The Supreme Court has already performed its constitutional role by delivering the judgement. It is now the turn of your government to perform its constitutional duty and mplement the order,” he said in the open letter. The 765-km long Cauvery river, also called the Ganga of the south, originates in Kodagu district in southern Karnataka and flows into Tamil Nadu, Kerala and Puducherry. 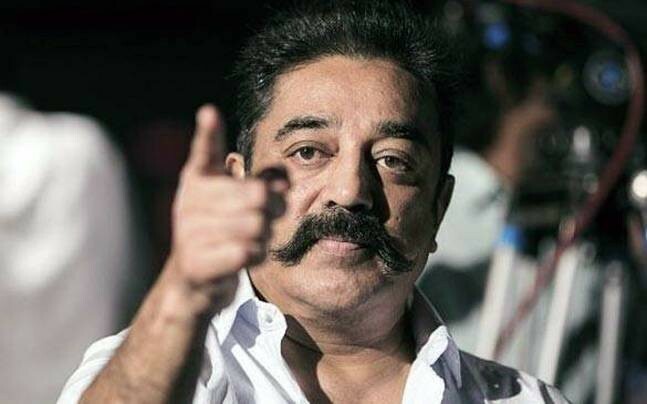 “Please do justice for Tamil Nadu and Karnataka and see that Supreme Court judgement is followed,” Haasan said in the video, adding that he was also putting out an open letter in case “I have missed out any points in my anxiety to pass on this tumultuous moment in Tamil Nadu”. Haasan also pointed out how in his earlier role as Gujarat Chief Minister,Modi had the experience of water sharing amongst four states through the Narmada Control Authority.